Click on the images below to be taken to the company website. Dassi are a provider of outstanding cycling products that include carbon frames, carbon wheel sets, quality cycling clothing and accessories that the cycling enthusiast will enjoy because of their quality and price. Dassi offers its customers the opportunity to customise their bikes fully; from component selection, to bespoke paint finishes or complete frame design and build options. 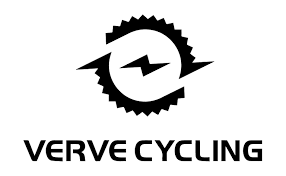 Verve kindly provide me with a power crank so I know exactly why I'm not going as fast as I would like. 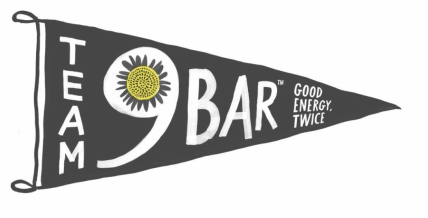 9bar is a delicious way to provide an extra energy boost. It also provides a fantastic, tasty, guilt-free alternative when all you actually want to do is indulge. So why fill up on empty calories when you can get a nutritional boost that provides more sustained satisfaction? Every 9bar is made with a unique blend of wholesome seeds including sunflower, pumpkin, poppy, sesame and hemp, while some of our bars also add delicious crunchy nuts such as cashews, hazelnuts and peanuts. 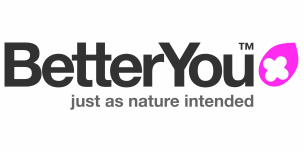 BetterYou are an innovative natural health company specialising in the supplementation of the growing number of key nutrients lost through our dramatically changing diet and lifestyle. Our products stand alone in the market place by their unique levels of quality and effectiveness. Zone3 produce a range of wetsuits and essential accessories to ensure your equipment lets you get the results you deserve whether you are an elite leading the field or training for your first triathlon. Since launch in 2007 the brand has developed an unparalleled reputation for producing high quality, performance products at an affordable price. ​Lucy Bee's Extra Virgin Fair Trade Organic Raw Coconut Oil is a nutritious dietary oil made from organically grown coconuts. It is a Fair Trade product the aim of which is to improve workers’, farmers’ and producers’ quality of life through sustainable community development. The Great North Air Ambulance don't sponsor me as such, but they're definitely up there in my 'biggest supporter' ranks. They airlifted me to hospital in 2014 when I broke my back, neck and skull while out training and without that support I dread to think where I'd be today. They're a charity run totally by public funding. You can donate by clicking on their symbol on then left which will take you to their website.